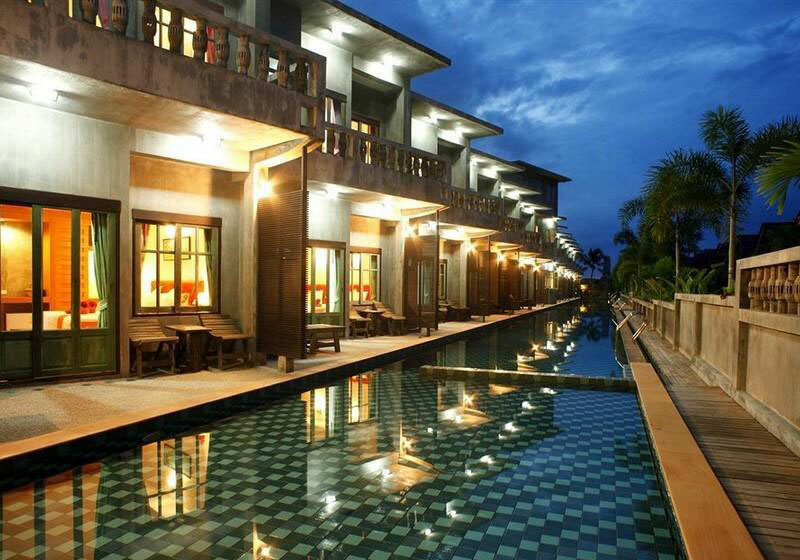 Haad Yao See Through Resort is a brand new hotel located in the north-west of the island, in Haad Yao. The area of Haad Yao is also called long beach for its one kilometre beach. Many people consider it to be the “perfect” beach of Koh Phangan. Its rich tropical gardens and beautiful natural surroundings creates a special private paradise atmosphere. In the resort the sand is white, the sea is blue and that makes it the perfect spot to dive or snorkel. The landscape is unique and irresistible. Haad Yao beach is one of very few on the Island which has remained undeveloped and it presents a perfect picture of an idyllic desert island cove. Haad Yao See Through Resort is the perfect place to relax and enjoy your vacation. See Through resort prides itself on its great service and friendly family atmosphere. The hotel has 30 rooms just by the sea. Almost all the rooms have sea views and the swimming pool. The rooms are modern and well equipped and the resort has it own private beach where you can spend easily all your vacation. The hotels restaurant and bar are just on the beach; from there you can enjoy splendid sunsets. The restaurant serves western and Thai food from the morning to the evening. At your disposition there is a pool table and a video projector for movie evenings. The bar is on the beach and it is a perfect place to enjoy the sun with a drink and have a swim on the sea. Our professional bar team will be happy to make you a special cocktail. Short Description: Haad Yao See Through Resort is a brand new hotel located in the north-west of the island, in Haad Yao. The area of Haad Yao is also called long beach for its one kilometre beach. Many people consider it to be the "perfect" beach of Koh Phangan. Its rich tropical gardens and beautiful natural surroundings creates a special private paradise atmosphere.